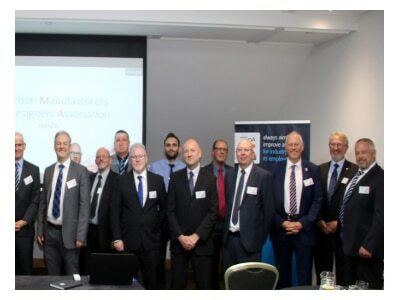 Dustraction are proud members of the Extraction Manufacturers and Designers Association (EMADA). Launched to ensure best practice and support the HSE in reducing the impact of poor work practices. Workplace extraction and ventilation is critical to the health and wellbeing of employees and despite many employers appreciating this position, UK industry is responsible for 12,000 workplace related respiratory deaths every year. The aim of EMADA is to promote the use of properly designed and installed LEV (Local Exhaust Ventilation) systems, by raising the standard, quality and awareness of the LEV systems used by industry. To act as a focal point for the industry and to share matters of concern , to discuss industry issues (present and future) and to drive forward initiatives aimed at improving workplace air quality. To ensure there is a benchmark for new systems. To have one voice for the LEV manufacturing industry. EMADA will collaborate with industry, the HSE and other bodies to ensure best practice is maintained and that future legislation is evolved through the support of industry experts to meet the ever changing demands of the workplace. By helping the HSE to drive compliance and provide industry expertise and input regarding existing and future legislation, EMADA is aiming to reduce the sad toll of illnesses and deaths through work related respiratory issues.